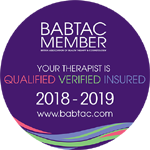 All our team are registered with the British Association of Beauty Therapists and Cosmetologists (B.A.B.T.A.C.) and fully licensed under the London Local Authorities Act 1991. All our therapists are fully qualfied to a minimum of NVQ3 equivalent or higher and all certification can be inspected at the premises. We also have an extensive in-house training program that ensures continuous training and development is provided to a far high level than the industry currently demands. 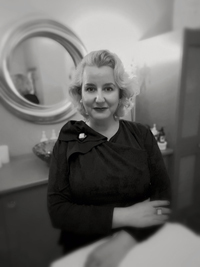 Renée is the creator of La Belle Jolie and has 30 years experience in the beauty industry, starting life as a beauty therapist and spanning a career specialising in luxury day spa management and consultantcy and natural skincare, culminating in the creation of La Belle Jolie. She is also passionate about the impact the beauty industry makes upon the environment and constantly assesses the business to ensure the highest possible green credentials are maintained. Hazel is the Assistant manager at La Belle Jolie and is an exceptionally gifted therapist. Our clients don't want us to tell you about Hazel as they all want her kept a secret! Whilst being a highly talented beauty and massage therapist, Hazel also specialises in pre and post natal therapies and has become an essential part of both the pre and neo natal care of many Crystal Palace mums. Georgia is an internationally experienced therapist who trainined at the Steiner Academy, one of the worlds elite beauty schools. She comes to us directly from cruising the Caribbean as an on-board beauty and massage therapist. Since joining the La Belle Jolie team Georgia has discovered a passion for organic and natural skincare and has fallen in love with our Éminence organics skincare range.